Insights of an innovation enthusiast, assistant professor, efficiency junkie, and technology optimist. Or, things I find interesting. 2013: The year of uptick in enterprise crowdsourcing? 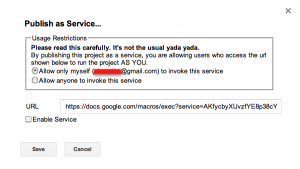 There’s a webservice for that! Eric Olsen on 2013: The year of uptick in enterprise crowdsourcing? Perhaps the most technical thing that all MBA students learn, or should learn is using VBA to automate excel and word. Gove Allen at BYU teaches a fantastic class which does just that, take a look at the creative projects his students have recently completed: Custom ‘mail merge’ for sending SMS messages, importing data into excel from craigslist, or automating the creation of a work schedule to cover multiple shifts. Until recently, the cloud-based solutions like Google Docs and spreadsheets have not allowed such automation. About a year ago, Google announced Appsscript. Now, a new code editor has appeared with a few interesting features. 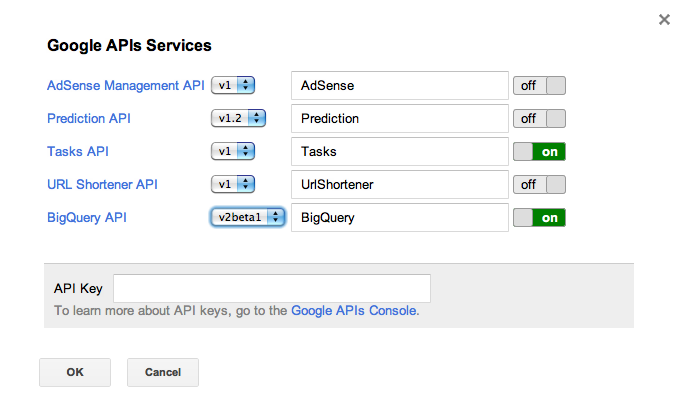 Second, it ties in nicely with useful google APIs, and hopefully more APIs in the future.